Location: Strangford, County Down, Northern Ireland. Ownership / Access: Private ownership. Notes: Strangford Castle is a castle on a height overlooking the harbour in Strangford, County Down, Northern Ireland, across Strangford Lough from Portaferry Castle. It was probably originally built in the 15th century but most of the present building dates from the late 16th century. 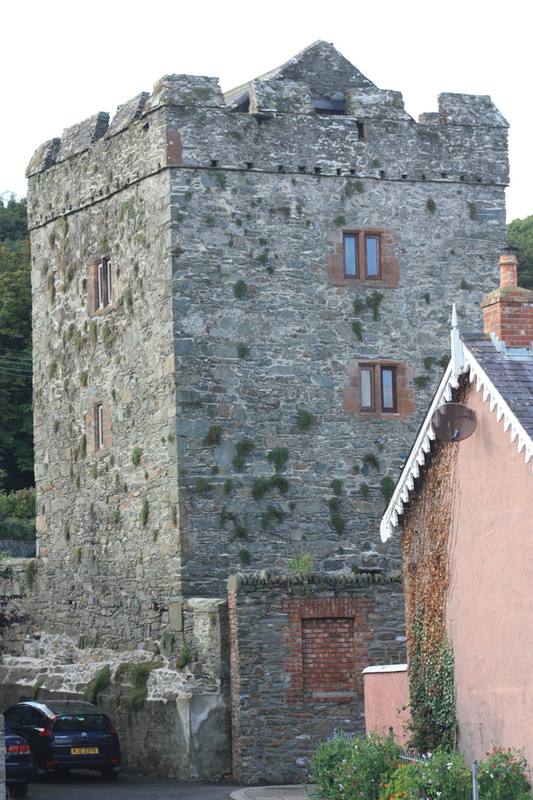 Strangford Castle tower house is a State Care Historic Monument in the townland of Strangford Lower, in Down District Council area, at grid ref: J5887 4983. Its popularity grew after it was used as the well-known castle of "Winterfell" in the TV show Game of Thrones. It appears to be a small tower house from the late 16th century, but a blocked door of 15th century type at first floor level, seems to indicate the remodelling of an earlier tower. The current entrance, in the north-east wall, is a reconstruction, positioned by the surviving corbelled machicolation above and a socket from a draw-bar to secure the original door. The original entrance may have been on the first floor. It is a small, rectangular, three-storey tower house with no vault or stone stairway. The first floor fireplace has an oven. The ground floor chamber is lit only by small gun-loops. The roof has very fine crenellations, again with pistol-loops. The original floors, like their modern replacements, were made of wood.